DEREK HENKLE/AFP/Getty ImagesR. Kelly is a free man, once again, after a payment of $161,000 in back child support was made on his behalf. Kelly was released from custody at the Cook County Jail just before noon Saturday in Chicago after the full sum of $161,633 was paid Saturday morning. However, it’s unclear who made the payment. Kelly owed the money to his ex-wife, Andrea Kelly. Kelly wore a red jacket over a grey hoodie, with the hood over his head. He briefly stood in front of cameras and spoke inaudibly while clutching a folder before leaving in a black van. Kelly’s attorney, Steve Greenberg, said a judge had issued a gag order prohibiting him or his client from speaking about the child support payment. Greenberg did say Kelly had been making $20,000 a month regular payments until very recently, when he was unable to pay. Kelly’s arrest last Wednesday for child support non-payment was his second arrest in two weeks, after previously being charged February 22 with 10 counts of criminal sexual abuse involving four women, three of whom are said to have been minors at the time of the alleged crimes. 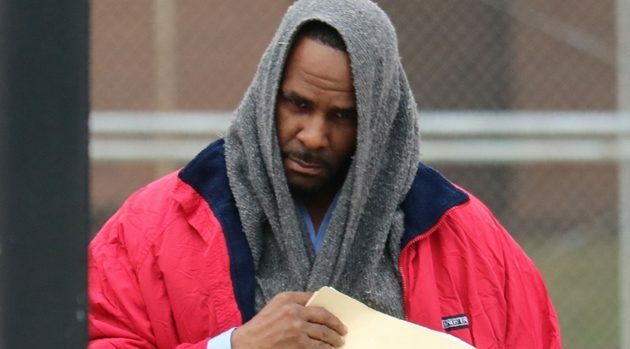 Kelly was initially released from jail February 25 after an unidentified woman said to be a “friend” of the singer paid ten percent of Kelly’s one million dollar bond. Kelly’s next court date is set for March 13.